Translations by Ruth Berman, J.S. Chartres, C.J. Cherryh, W.W. Comfort, Lafcadio Hearn, Charles Lamb, Mrs. John Lane, Andrew Lang, Eugene Mason, Peter Antony Motteux, Léonce Rabillon, Michael Shreve, P.J. Sokolowski, Brian Stableford, and Sir Thomas Urquhart of Cromarty. 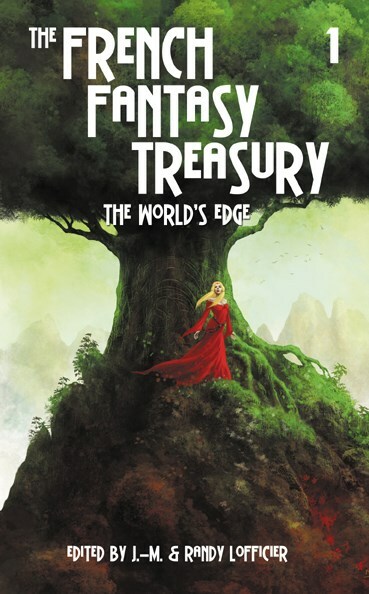 The French Fantasy Treasury serves as an introduction to French fantasy, which has a long and noble history, quite distinct from its British and American counterparts. Its three volumes chronicle the history of the genre, from its origins through modern times, and include stories, excerpts and novellas by some of the most prestigious authors in French literature. A must for fantasy lovers everywhere. This first volume begins in the 11th century when fantasy helped the medieval people to illuminate the fearsome darkness in which they lived. We meet the brave Lancelot and the doomed Knight Roland; we go to war with the Giant King Pantagruel and visit Giphantie, at the World's Edge. In the 16th century, during the Age of Enlightenment, we travel to the Fourth Heaven known to us as Mars, and we wonder at the exploits of the Wing-Men of Mercury. Finally, in the 17th and 18th centuries, we discover how fantasy mutated into fairy tales and Arabian Nights. We rediscover the tale of Beauty and the Beast and meet the Yellow Dwarf; we share the sorrows of the Water Sprites and marvel at the tale of Prince Ahmed and the fairy Paribanou.